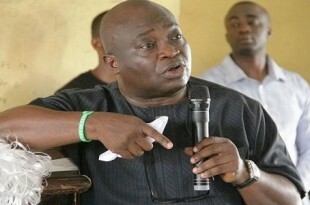 ABIA— We have received reliable information from different sources in Abia state that Governor Okezie Ikpeazu has been working assiduously to bring to an abrupt end, the activities of the Indigenous People of Biafra, IPOB, in the state with Aba, Umuahia and Ohafia in focus. On Tuesday, 12th September, 2017 Okezie Ikpeazu had a meeting with all the market chairmen and some notable religious leaders in Abia State. In that meeting, the governor openly accused them of working with IPOB against him, alleging that IPOB is sponsored by his political enemies to frustrate his government. He said that despite them(the market chairmen) knowing all these things, they continued rendering support to IPOB. However, the market chairmen and clerics denied having any connection with IPOB against his government but the governor insisted that they are working against him stressing that IPOB are in the markets where they are the chairmen and the Bishops and pastors of the churches they attend. He ended the meeting by telling the religious leaders and the market chairmen that “something great will happen today”, with heavy anger spelt all over him. Later in the day, the Nigerian army invaded the residence of the IPOB leader, Nnamdi Kanu, but was resisted by unarmed gallant IPOB family members in his house. Again, on Thursday morning, 14th September, 2017, Governor Ikpeazu summoned the market and religious leaders. In a fit of anger, he asked if they want the Federal government to declare a state of emergency in his state. He expressed dissatisfaction over IPOB's resistance barring the military men from gaining access to Kanu and the reactions of Biafrans in Aba when the army maltreated and shot dead innocent Biafrans. He therefore, threatened and mandated them to go to their churches and market places and fish out all family members of IPOB, their homes, meeting places, shops and hand it over to him. He also told them that over his dead body will two flags be raised in Abia state while he remains the governor. As a matter of fact, Okezie Ikpeazu has mobilized a group of able-bodied young men who will help him in scavenging and haunting of family members of IPOB in Abia state. We are hereby alerting Biafrans in Abia state to be very vigilant and report any suspected activity of the murderous Nigerian security forces around him. Also, Governor Okezie Victor Ikpeazu should go back to history, he needs to understand that an ideology cannot be quenched by the use of force. The Biafra genocide of 1967-1970 is a good example. However, it is unfortunate that our own is also the one masterminding our killing. PRODIGAL SONS ,OH SHAME ON YOU!!!!!!! EFULEFUS , WHAT HAS THEY USE ON YOU??? LEADERS HAVE DONE AGAINST HER PEOPLE. D OF GOD'S JUDGEMENT! IS TERRIBLE!!! These foolish Southeast Governors must be ostracized from Igboland when Biafra nation is restored. They are very selfish, cowards, and slaves. I'm ashamed that these cowards are running the affairs of governance in Southeast region in this dispensation. They are a disgrace to Ndigbo and all Biafran people. They have desecrated and polluted our land and they must not be forgiven for their atrocities and massacres of Biafran youths.